Why is a root canal treatment required? Root canal treatment may be the last chance to save a tooth when the pulp of the tooth is severely damaged or infected. What are the symptoms that might require root canal treatment? Pulp of the tooth consists of nerves and blood supply. It provides the tooth with sensations and nutrients. When it become damaged, a tooth would start experiencing severe pain and infection could spread, resulting in illness, blood poisoning, fever and swelling of the face and neck. Your tooth will first be properly numbed or anaesthetised to make sure the entire procedure is as painless as possible. 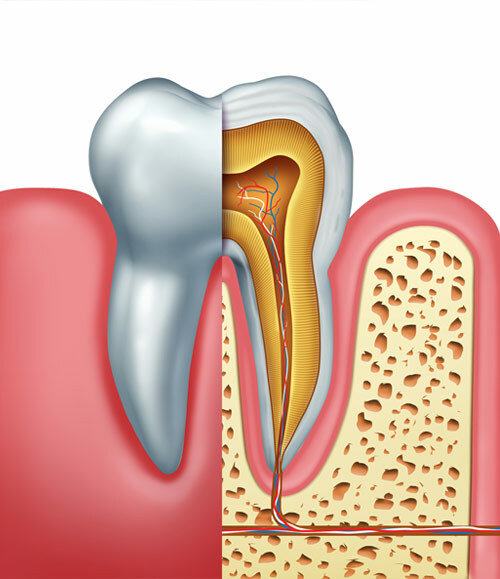 Root canal treatment is often carried out over 2-3 visit to completely disinfect and fill the inside of the tooth. A crown is often needed to prevent re-infection and strengthening of the tooth structure for as long as possible. A natural tooth usually functions better than an artificial tooth. Losing a tooth without replacement could result in decreased chewing capacity, extra stress on remaining teeth, tilting of neighbouring teeth into space. This could lead to deterioration of remaining teeth. Our aim is to help you retain your natural teeth and have good oral health for life. At Lara Village Dental, our dentists use the latest techniques and materials to make sure your root canal treatment is comfortable and completed to the highest quality. Call us to make an appointment today.